One issue I see constantly is users running out of hard drive space. Despite the fact that we’re talking hundreds of gigabytes, people who call me are often down to 1% of free space on their drives. This isn’t a mere inconvenience – it’s an important issue to address ASAP, as a too-full drive is in danger of crashing, which is a much more serious problem, as far as time, money and aggravation are concerned. Barring removing the internal drive and replacing it with a higher capacity drive (a process that is becoming increasingly more difficult as Apple is making DIY upgrades harder and harder), the best way to reclaim hard drive space is to eliminate space hogging files and folders. This involves spending some time figuring out exactly where these files are located, and then deleting them and emptying the trash. Before doing any of this, confirm you have quit all open applications. In the top left corner of the screen, the word FINDER should appear to the right of the apple. If any other word is there (such as Mail), pull down on that word and select “Quit,” which is the bottom choice. Highlight your hard drive icon on your desktop (commonly named “Macintosh HD”) by clicking on it ONCE and selecting “Get Info” (Command-I) from the “Finder” menu. This will show you the capacity of your drive, how much space has been used and how much free space remains. Remember how much free space you have; then close the window. Repeat this info gathering process once you’ve completed all of the steps outlined below. Pull down on the FINDER menu (upper left corner) and select “Empty Trash.” If that command is grayed out, your trash is empty. If you use Microsoft Entourage or Outlook as your mail client, you may have “rebuilt” mail identities languishing in your computer. To see what’s happening here, open your “home” folder (the folder with the “house” icon found inside your USERS folder) and then open the Documents folder. Inside, there is a folder named “Microsoft User Data” and inside that, a folder named either “Office 2008 Identities” or “Office 2011 Identities.” Inside the identities folder is where your stored mail resides; if there are any old “rebuilt” identities in there, you can trash them*. You should also clean up your Documents folder since you’re already in there. A lot of files, many no longer needed, are relegated to this folder. Trash what you don’t need. And then empty the trash. * Contact a computer professional before trashing any files. And you should also confirm ALL of your data is backed up! Similar to Documents, your Downloads folder is a repository for all sorts of stuff; downloaded documents and photos, software installers and even larger audio and video files. Your download folder is also found in your “home” folder. Virtually every download with a .dmg suffix can be trashed, unless it’s an installer for a software package you purchased. Other things that can go are old bank/credit card statements, pictures that have already been imported into iPhoto and music files that have already been imported into iTunes. Open SYSTEM PREFERENCES (from under the Apple in the upper left corner of the screen) and select “Users & Groups.” Here, you’ll see a list of user accounts; the current user will be at the top of the list. If there are any accounts that are no longer needed, you can delete them. Note that deleting any user account instantly expunges ALL the data in that account, so you will probably want to check what’s in it before proceeding. If you sync iPhones, iPads and iPods to your Mac, there’s a folder that keeps the data from all of these devices – even ones you no longer own or use. The MobileSync folder is found in Home>Library>Application Support. You can trash this entire folder – it will eventually rebuild, but the “new” version will only contain the backup of your current devices, not any unused devices. BUT – in order to access the “Library” folder on your Mac, you have to pull down on the GO menu in the Finder WHILE holding down the OPTION key. In the list of items you’ll see LIBRARY. Select LIBRARY and open APPLICATION SUPPORT. Here you’ll see the MobileSync folder. Simply pull it into the trash and then empty the trash. But you must understand that this folder will be recreated and start to rebuild once you reconnect any iOS devices to your Mac. You can also house your iPhoto and iTunes libraries on an external drive, but that process is a blog post into itself. I’ll cover that in a future missive. Wow, a long one, but totally necessary. Remember – BACK UP YOUR DATA before attempting any of these steps. And if you’re unsure about ANYTHING, contact a competent professional (me) to handle this process. What’s the deal with Yosemite? 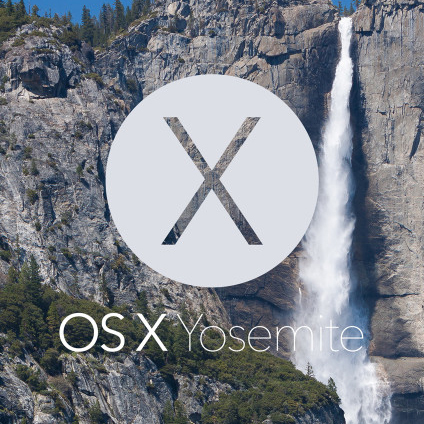 After months of hype, Yosemite, Apple’s latest OS X version, finally dropped three weeks ago. Since everybody knows that I update my software as soon as it’s released, I instantly got calls and emails asking whether it was OK to update to it, so I installed it shortly after it was released. 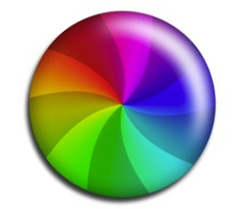 OK, so what is the big deal with Yosemite? This aside, there are some applications and utilities that don’t work, including early versions of Quicken, Dropbox and other Power PC-based programs, though there seems to be updates for all of these. Apple has also discontinued some of its applications, including Front Row, iSync, Sherlock and iChat (now called Messages). Yosemite’s big claim to fame is its “Continuity” feature. Users can answer phone calls on any of their devices (Macintosh Computer, iPad, but this can be disabled), as well as being able to “pick up on where they left off” when continuing work on a different device. 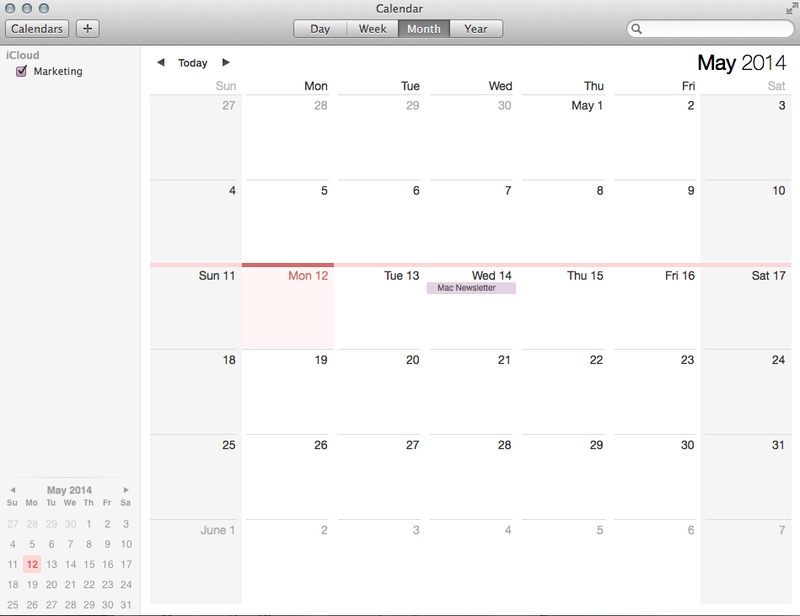 For example, starting a Numbers document on your Mac at work can be completed on your iPad at home. The same goes for composing an email. (Note that this continuity only works with Apple software – the feature doesn’t work Microsoft and other third-party software). I don’t know if that’s a definite “need” for users. In other words, it seems that this feature wasn’t designed to fill a gaping hole, but was created to be something “neat” that users may want to do, at least a couple of times. Upgrade, Rapair or Say Goodbye? I am often asked to solve issues of full hard drives, under-RAMed machines and to help to prop up ancient Macs in order to wring another year out of them. Sometimes it’s a quick fix that a few bucks and 15 minutes can solve, such as adding more RAM. Other times it’s more complex, such as installing a larger hard drive, a process that involves the price of the new hard drive as well as paying for the installation and data transfer. And then there are things like a bad motherboard or a dead power supply that cost several hundred dollars to repair at the Apple Store or other Apple retailer. Age of the Mac. If your Mac is over four years old, then anything short of a RAM install or larger hard drive is probably not a good idea. Things like motherboards and power supplies are expensive – usually around $400 or so. And when they go bad, they’re usually in computers that are over five years old. Think of those sorts of issues the same way you think about a transmission in your car. When your transmission goes, you have to consider the age of the car before you decide to go ahead and replace the transmission. The same goes for your computer. But I would say that 90% of the time, it’s prudent to get a new Mac. Money. Sometimes buying a new computer solves a lot of problems. Rather than spending the time and money to install a larger hard drive when there’s a new computer in your future, it’s best to pull the trigger a few months early rather than have to repeat the data migration process. Plus, a computer purchase, if used for business, is a tax deduction. A good way to gauge your computer’s value is to see what similar models are selling for on eBay. But remember – that price also includes reformatting the drive as well as putting in the effort of listing it on eBay, packing up the computer and shipping it, a process that most people realistically don’t want to bother with. Apple Mail or Microsoft Outlook? That’s one of those age-old questions, similar to Coke or Pepsi, American or National League and Ginger or Mary Ann. Two seemingly similar, yet very different options are presented, and you’re either on one side or the other. Both have their pros and cons, and it’s usually a matter of personal choice rather than the quality and there’s no wrong answer. There are debates galore both online and offline for all these items; the one that concerns us here is the choice of email client. While there are several B-list options available (Thunderbird, Viewer For Gmail, etc.) there really are only two kings of the mountain here, one that is included with the Mac OS, the other part of the most popular third-party software package available for Macs. The thing that I find especially frustrating about Apple Mail is its tendency to stop working. The most annoying glitch is its inability to send mail, giving you the dreaded “Cannot send message using your mail server,” even though this configuration worked fine in the past. Users with the mail.optimum.net server are particularly prone to this flaw. The other issue that makes Apple Mail a loser is another random issue; for no reason, it will take mailboxes “offline.” There’s no logical reason why ANYBODY would want his/her mailbox “offline,” so why bother adding that feature? Also, Apple mail is fussy how accounts are set up; if it is unable to “find” the mail account, it makes it difficult to continue. This is bad when somebody like me is attempting to set up an account when the computer is offline. On the other hand, Outlook has its fair share of baggage. Its biggest issues are its incompatibility with Apple’s address book (Contacts) and its tendency for the mail database to become bloated, slowing down the application. Also, if the database becomes corrupt (something that happens without warning), it’s not always possible to regain all your email. And although the option is available, attempting to sync your Apple contacts with Outlook’s address book usually ends up in duplicate frustration. There’s an easy answer; the Groupon wasn’t interesting to me, plus I can easily go to its site to see ALL of the offers, and I wasn’t planning on shopping at Macy*s this week. So BOOM – off they go into my Deleted Items. I’ve seen too many people with 10,000+ UNREAD messages in their inboxes – bad news! Not only does a loaded email box make things run more slowly, it takes up valuable hard drive space and can cause the mail program to bonk, sometimes resulting in the loss of many of those messages. All through my years of working in the industry, whether it’s in a corporate IT environment, a tech writing job or just freelance, I’ve gotten pretty slick at keeping my inbox empty, or at least at a manageable level. I’ve come up with a few easy-to-implement tricks to keep things from spiraling out of control. Yes, it does take some work on your part – but spending a couple of minutes a day keeping things tidy is preferable to paying a professional big bucks to reconstruct your email. #1) Establish a second email address for retail subscriptions, as well as other mailing lists. Adding a second (or third) email account to handle mailing lists is a stellar idea, particularly now that we’re all using iPads and iPods to get our mail. This serves two purposes – it keeps our “real” inboxes free of non-essential messages, and because most of these mails are timely, it’s easy to delete them in bulk. I can’t begin to tell you how many users still hold onto J. Crew messages announcing a sale that expires in October 2011. Just be honest – if you don’t read an email soon after you receive it, it’s probably irrelevant anyway. And question if it’s even pertinent to your situation – if you’re on the Hilton Properties list because you stayed at one of its hotels recently, does any news from them have any bearing on what you’re doing now? #4) Create separate folders for completed tasks. 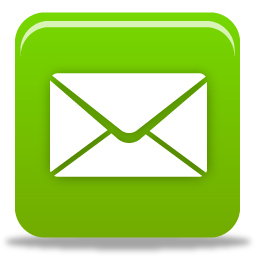 If you need to save archive old email messages, store them in newly created folders to help clear out your inbox. Not only does this help keep your inbox neat and clean, it also helps your overall organization. Create as many of these folders as you need; you can organize them by sender, project or date. #5) Create a “Pending Issues” subfolder to store messages that require action on your part. The “Pending Issues” folder isn’t simply a storage bin to bulk offload messages from your inbox – think of it as a “to do” list for your action items. #6) Be at peace with the fact that you’re NEVER going to read those old emails. Human nature is funny – there are some things in life that everybody believes they possess; personal style, a sense of humor, good driving skills and excellent taste in music. Add one more – the belief that they’re someday going to read those old emails. It’s not going to happen. And the sooner they come to that realization, the better off mankind will be.